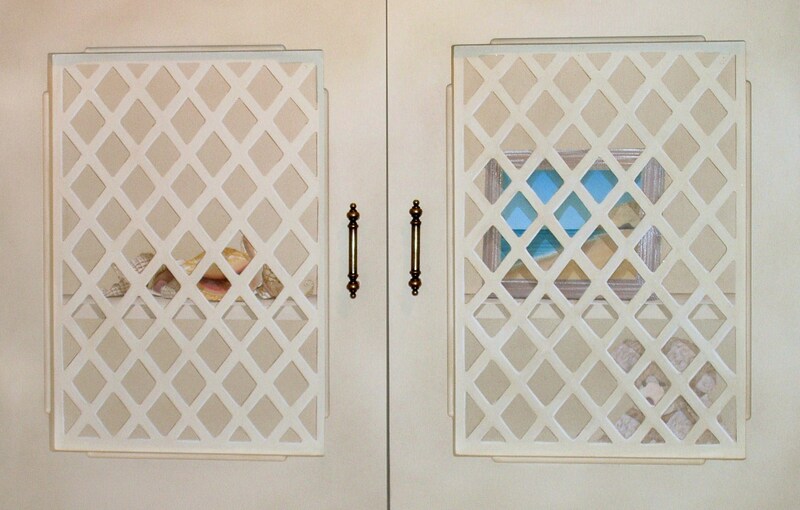 Here are a few of the other trompe l’oeil projects I’ve done over the years. For this commission I painted various walls in a barn conversion to look like real stone. 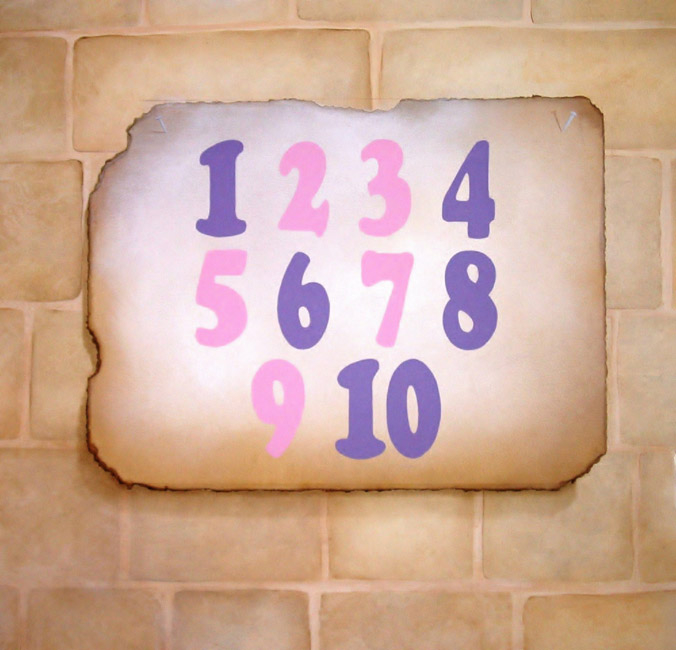 I then added a few trompe l’oeil ‘educational’ parchments to one wall to help the kids learn their alphabet and times tables. There was a medieval feel to the barns furnishings so the parchments really worked well. The ‘real’ doors at the top of this cabinet were solid so I was commissioned to make them look like the bottom ones which were latticed. Once I’d finished the cabinet balanced a lot better and no longer seemed top heavy. The items painted on the shelves were all very personal to the client, with the view in the photograph depicting a memorable scene from one of her childhood holidays. 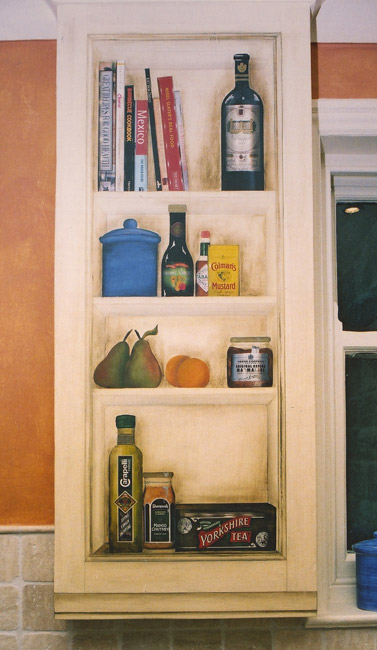 Before this trompe l’oeil was painted the boiler cabinet was solid white and very imposing in this small kitchen. 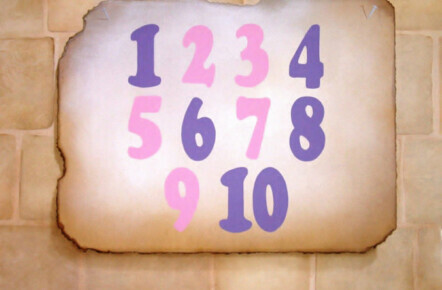 It was painted in a looser, more stylised way, making it purposefully more obvious it was painted. Each of the books on the shelves were decoupaged and reflected the personality of the client. 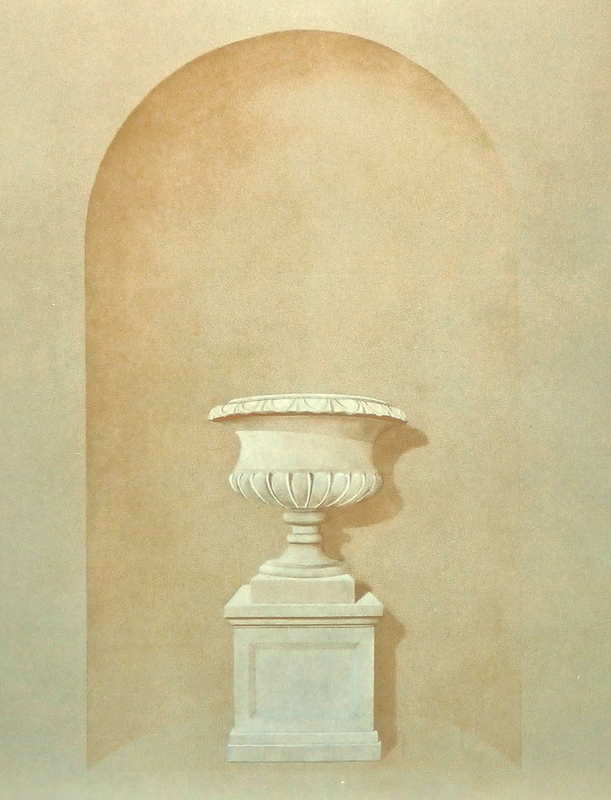 This picture shows a trompe l’oeil niche and urn I painted on one of the walls in the swimming pool mural room. The background wall effect is a three-tone colour wash and works really nicely with the almost sepia tones I used in the painting. Please use the following links to see the Full Faux Finish Gallery. Lee works throughout Yorkshire and the UK and is within easy reach for projects in Leeds, York, Wetherby, Ripon, Bradford, Ilkley and the surrounding areas.